The PSWDO augmented the resources of the concerned Local Government Units (LGUs), providing 1,100 family packs of relief goods which were given to evacuated residents in Calasiao (300), Sta. Barbara (200), Bayambang (100), Bugallon (100), Aguilar (100), Mangatarem (100), Lingayen (100), and San Carlos City (100), who are affected by flooding. A team from the Provincial Health Office was also deployed in Talibaew, Calasiao for quick medical mission. The whole province has experienced moderate to heavy rainfall which triggered flooding in 12 localities as of August 13, 9 pm (with 194 affected barangays), including: Dagupan City (20), Calasiao (19), Sta. Barbara (23), Bayambang (16), Mangatarem (21), Binmaley (33), San Carlos City (9), Binalonan (12), Villasis (2), Aguilar (1) , Manaoag (7), and Bautista (13). As of August 13, 9PM, 3,293 reported evacuees or 1,101 families were from, as follows: Calasiao (343 infividusls), Lingayen (135), Dagupan City (1,027), Urdaneta City (625 who just went back to their homes), Mangatarem (66), Sta. Barbara (472), Bugallon (203), San Nicolas (14), Bayambang (244), Aguilar (120), San Carlos City (44). 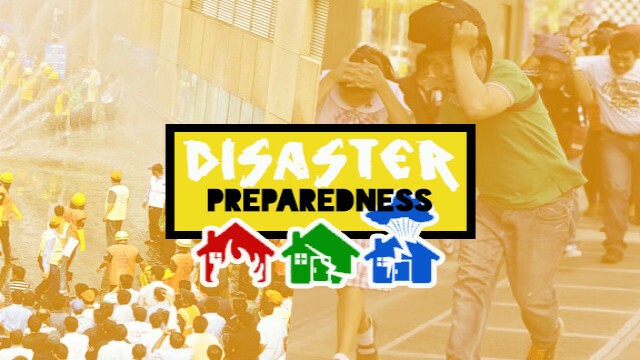 Since August 11, Saturday, Governor Amado I. Espino, III, Provincial Disaster Risk Reduction and Management Council (PDRRMC) Chairperson, has alerted municipal and city Local Government Units to be on alert for emergency response. In view of the inclement weather condition, the provincial chief executive, issued twice an advisory on localized suspension of classes in all levels in the whole province for August 13 and 14, calling on all the mayors as chairmen of their respective Local DRRMCs as well as school administrators, to suspend classes in their municipalities or cities depending on the prevailing situation in their respective localities. The PDRRMC closely monitors the flood situation in the province, as it has deployed disaster responders in areas at high risk of flooding. As of August 13, 11 PM, the San Roque dam, now at 286.46 meters above sea level, has continued to open its four spill gates, discharging a total of 983 cubic meters per second. City and municipal LGUs situated along the Agno River and its tributaries received advance information from the National Power Corporation, and phone call from the PDRRMO prior to the first release of dam waters on August 12. Towns and city along the Agno River include: San Manuel, San Nicolas, Tayug, Asingan, Sta. Maria, Rosales, Villasis, Sto. Tomas, Alcala, Bautista, Bayambang, Mangatarem, Urbiztondo, part of San Carlos City, Aguilar, Bugallon, Lingayen, and Labrador.